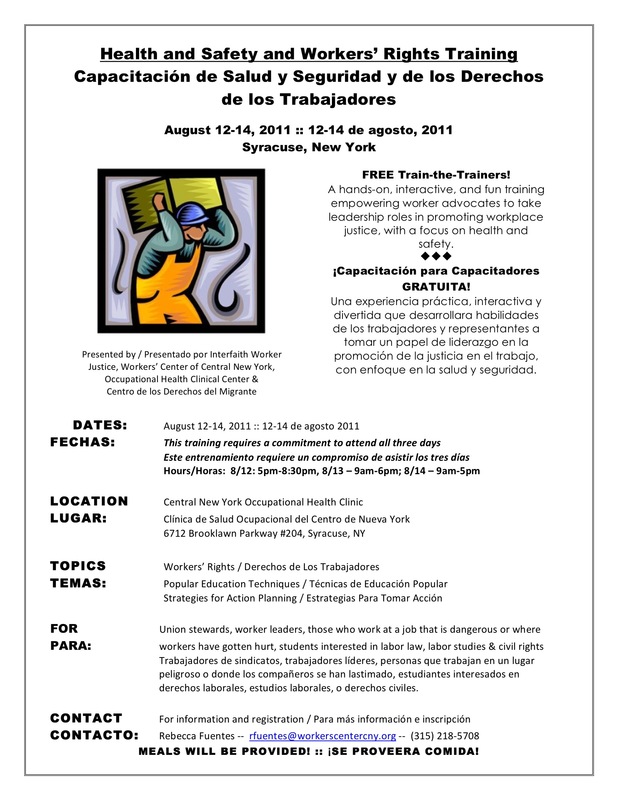 Interfaith Workers Justice, Centro de los Derechos del Migrante, CNY Occupational Health Clinical Center and the Workers’ Center of CNY are partnering to offer a Health and Safety & Workers’ Rights Training in CNY on August 12-14. Space is limited. Please register ahead of time here. Space is limited. Please register ahead of time here.